The general position within these documents is to ask some key questions that will indicate whether a product will be considered to include nanotechnology or not. 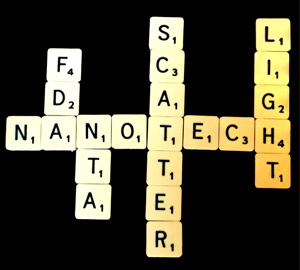 The criteria include whether the product has material within the nanoscale range (1nm to 100nm) or whether the product is engineered to exhibit unique properties due to its dimensions. A large part of the FDA work – which mirrors activity in the EU – is driven by concerns about the potential toxicological impact of nanomaterials on the environment. In fact during the Nanotech conference I listened to an excellent presentation by Brendan Casey from the FDA in which he talked about the physio-chemical characterisation of extracts of silver nanoparticles containing medical devices. During the talk he emphasised the requirement for improved quantitative tools beyond Dynamic Light Scattering (DLS) that could potentially provide number-based (size) distributions for nanoparticles released into the environment and taken up by living organisms. In a case of “here’s one I prepared earlier”, I was actually completing a talk at the conference on this topic which looked at some of the potential methods for improved sizing resolution in line with the recommended EU definition on nanomaterials. The talk covered DLS and how through the use of a known light scattering standard e.g. Toulene, you can get a better understanding on the number of nanoparticles in solution. Additional techniques covered during the talk included linking DLS with a separations device like Field Flow Fractionation (FFF) and other techniques such as Nanoparticle Tracking Analysis (NTA) and Resonant Mass Measurement (RMM). A large part of the function of my team and I within Malvern is to understand the drivers and trends within the market that are driving development and manufacturing requirements, and to drive our own product innovation activities towards addressing them. There is still some debate on the priority of physio-chemical parameters within toxicology studies, however I am confident that we are well placed to meet any of the characterisation challenges that might arise from the research.